To grasp a greater appreciation of nature, we all need to be prepared to explore the inherent beauty that lies within protected gardens around the world. This is the sole purpose of botanical gardens around the world, to allow visitors the opportunity to further their knowledge and understanding which will hopefully encourage them to appreciate the natural environment surrounding them. 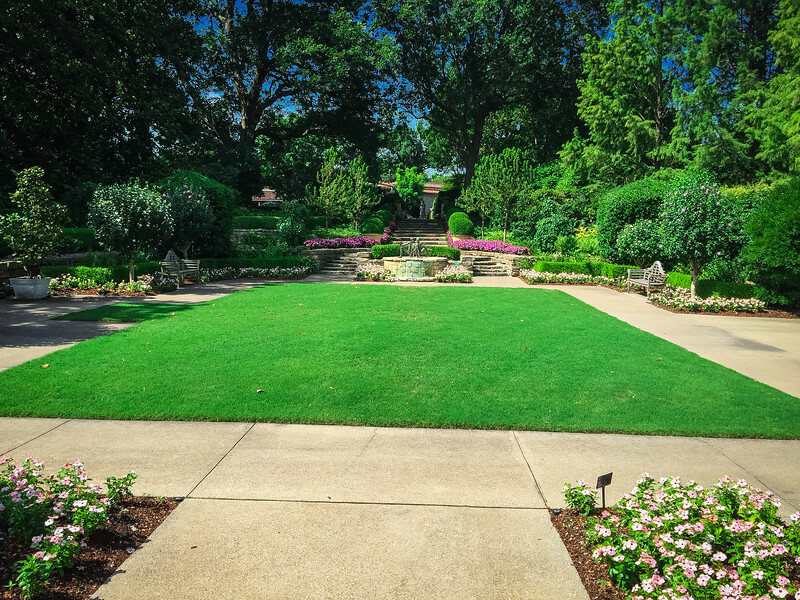 We are incredibly fortunate to have a multitude of natural gardens that are equally amazing, but having recently visited the Dallas Arboretum and Botanical Garden, I want to make a pretty bold statement and say that this is certainly one of the best botanical gardens around (at least in this part of USA). Frank Lloyd Wright’s quote about the study and appreciation of nature has an inherent truth to it because I truly believe that by following this ideology, we will in turn have a much better environment to live in. Is there anything better than waking up to the sun shining through your window, the birds chirping away outside and an array of floral beauty to inspire your day ahead? 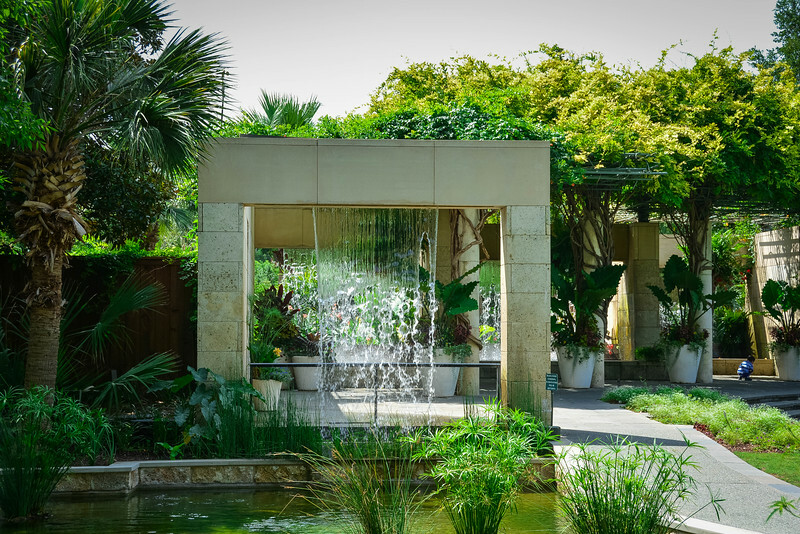 I can only imagine what it is like for people that live in the immediate vicinity to the Dallas Arboretum and Botanical Gardens, and after reading this review I hope you too are convinced that this is a pretty spectacular haven of nature. I want to start this review with what potentially may be the only negative aspect of this botanical gardens in Dallas. Admission prices are a little on the expensive side and parking in particular is a little pricey, though there are ways to save on both of these…so please keep reading! 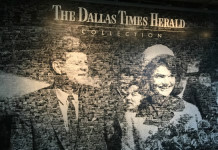 Of course, I would strongly recommend considering the CityPASS Dallas experience which will not only give you HUGE savings on the Dallas Arboretum and Botanical Garden, but also allows access to a variety of other amazing attractions in the area. As mentioned, parking is arguably the most expensive because on-site or in the parking garage directly opposite the botanical gardens is $15. However, discounted parking is available on-site for $8 if you book online in advance. More details can be found here: Save Now for Parking! A printed copy of the confirmation is NOT required, so as long as you have a copy of the e-mail on your phone or other device, you will be eligible for the discounted parking. 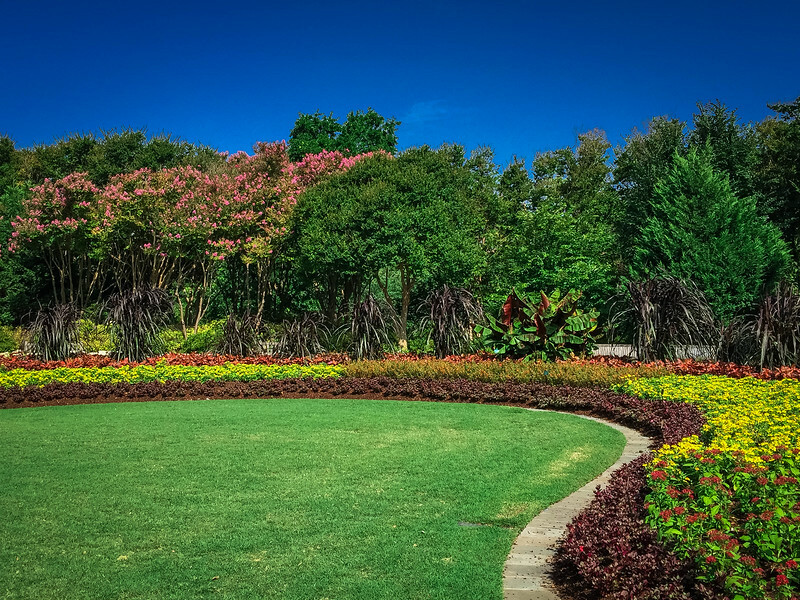 With 66 acres of natural beauty, it is no surprise that the Dallas Arboretum and Botanical Garden is a location that you could quite easily spend a full day here exploring. 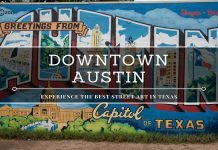 Dating back to the grand opening in 1984, this has become a nature lover’s paradise and after visiting here on our recent trip to Dallas, I can attest that there are a myriad of highlights worth exploring. But where do you even begin when you have 66 acres to explore? Fortunately there is a very useful map with a self-guided route mapped out for you. 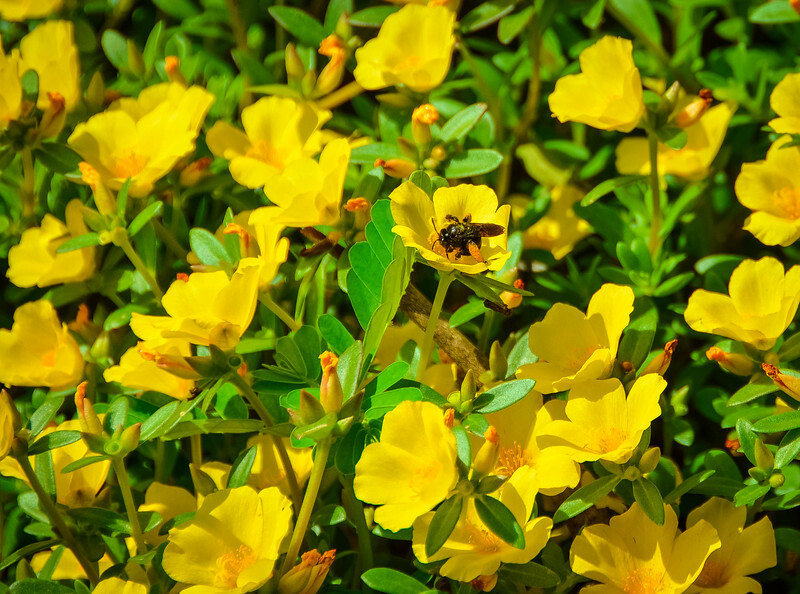 There are 19 named gardens located throughout the acreage, and even the most active of travelers will find this a pretty good workout to walk around all of these exhibits. 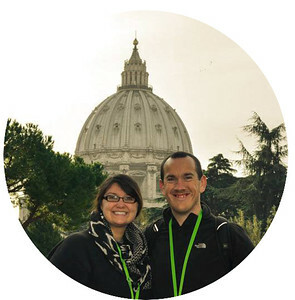 Whether you decide to follow this route is entirely your choice, but I want to bring your attention to some of our favorite spots. Despite the searing temperatures that we endured during our visit, the gorgeous floral arrays made us quickly forget the heat and created a perfect environment to relax and listen to nature’s finest species pass us by. A short walk from the visitor center and entrance to the garden leaves you very much feeling that you have been welcomed to a breathtaking location! 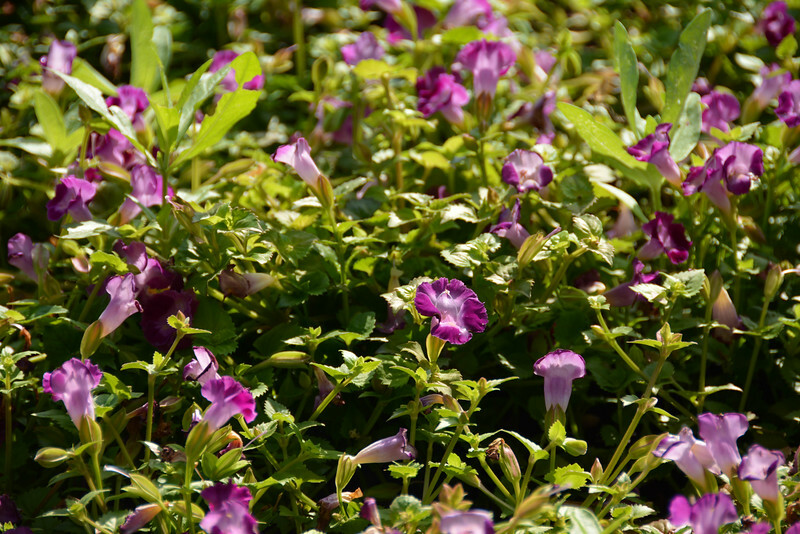 The Margaret Elisabeth Jonsson Color Garden features a variety of stunning flower beds that offer an abundance of color as you explore the area. 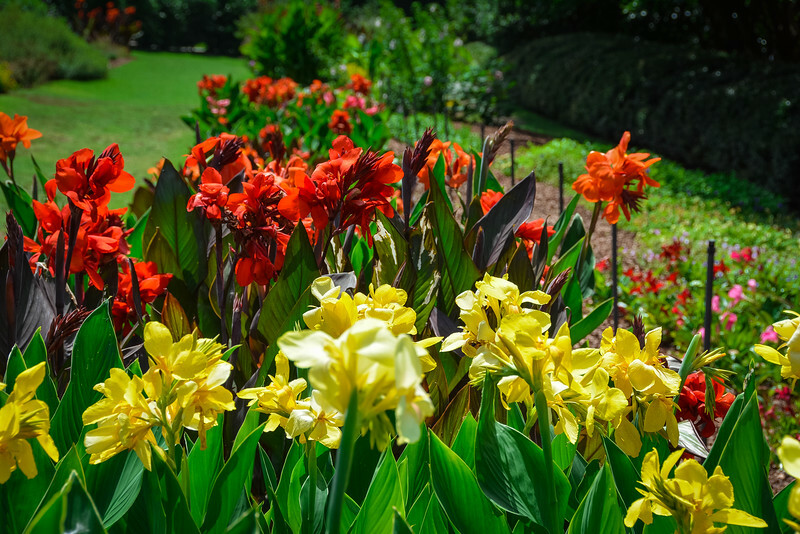 When the sun is shining, there is no better spot to explore the seasonal flower arrangements ranging from azaleas in Spring to banana plants in Summer. The moment we stepped into this part of the botanical gardens, I knew that we were in for a real treat. 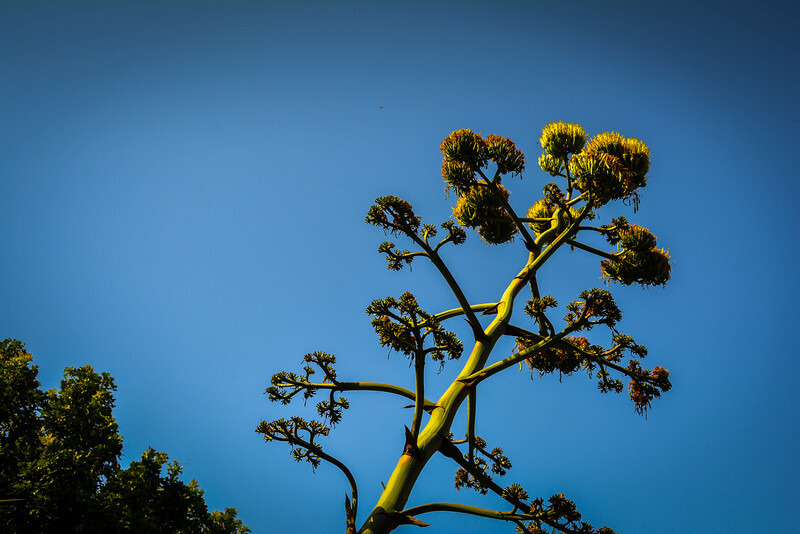 The beauty is magnified of course with the careful nurturing and cultivation of the flowers, but another intriguing part of this garden is the towering agave plant that leans predominantly towards the sunlight – a great example of phototropism taking place! 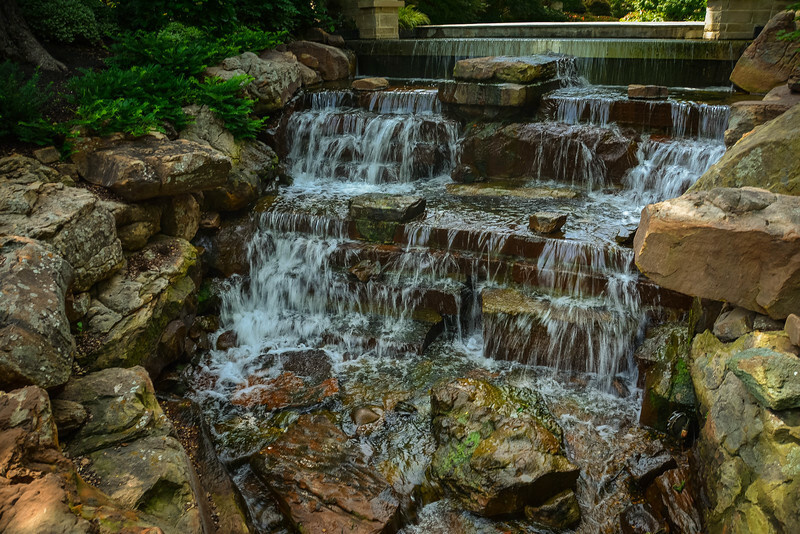 If you are looking for a secluded location away from other visitors wandering around the botanical garden, take a stroll into Palmer Fern Dell which is a real enchanting spot with opportunities for gorgeous photos. Among the camellias, ferns and azaleas, this tranquil spot has a bench which is at the perfect angle when the sunlight shines through the trees. 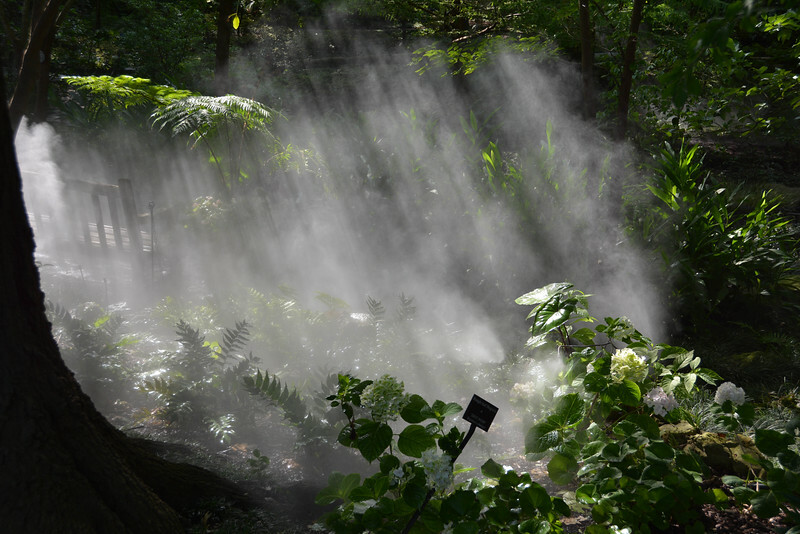 The micro-fine mist that is frequently present here creates an eerie atmosphere but one that is relaxing and a perfect spot to just ‘getaway’ before exploring the rest of the botanical gardens. Imagine a setting from ‘The Secret Garden’ and this is exactly what Palmer Fern Dell reminds me of. 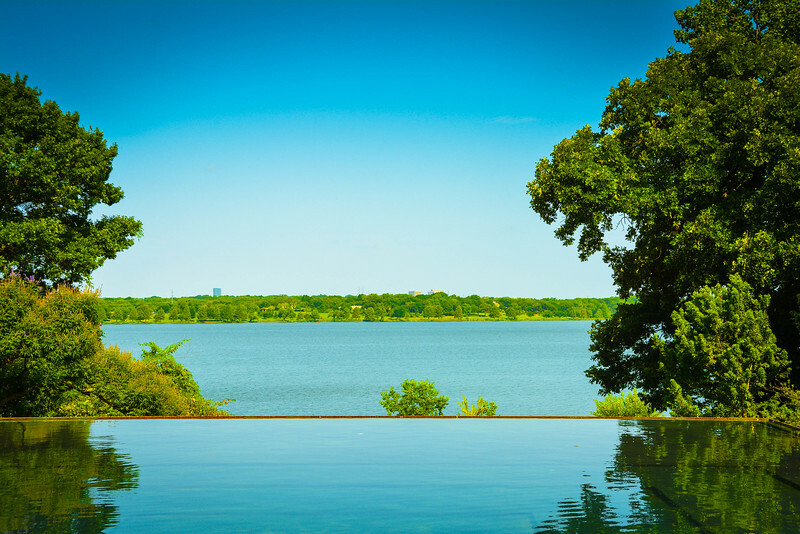 Overlooking White Rock lake from the ‘Majestic Allee’, the stunning sight of the reflection pool typifies the beauty presented throughout A Woman’s Garden which is an iconic landmark at the Dallas Arboretum. 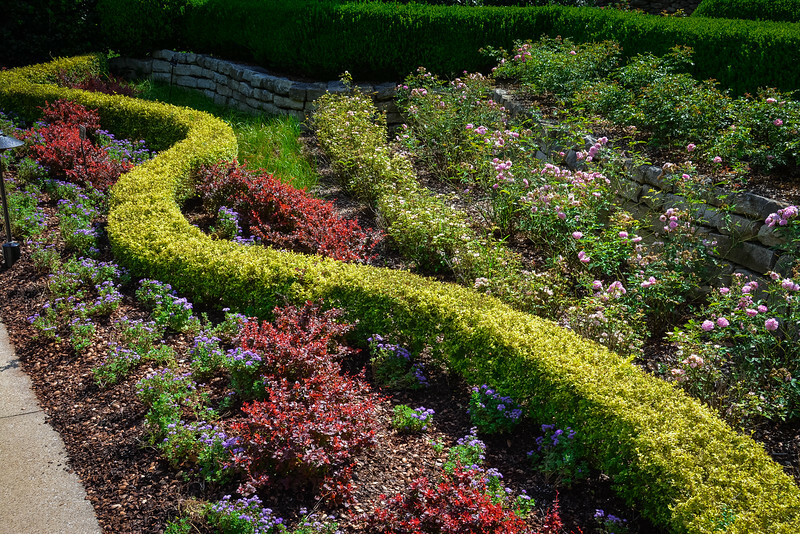 Whether you are male or female, you will appreciate the intricate details that have been added to this part of the gardens. 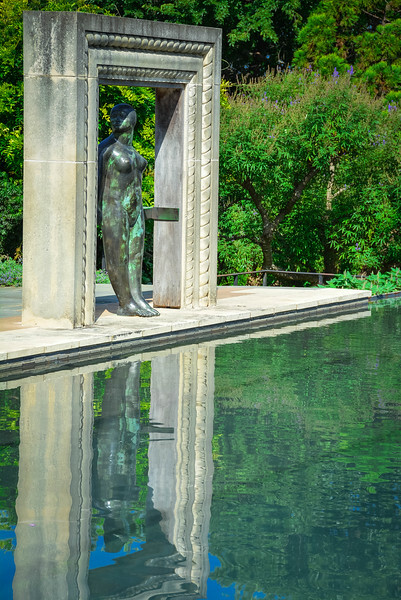 The infinity pool is just one of many reasons to visit this garden. Standing directly behind this pool and looking across the lake, I had to look twice to realize that this was not flowing directly into the lake. I love the symbolic representation as you enter this secluded location. Water flows from one pool to another through beautiful miniature waterfalls. This design was done to represent women helping each other through generations of hardship but fighting through and creating equality. 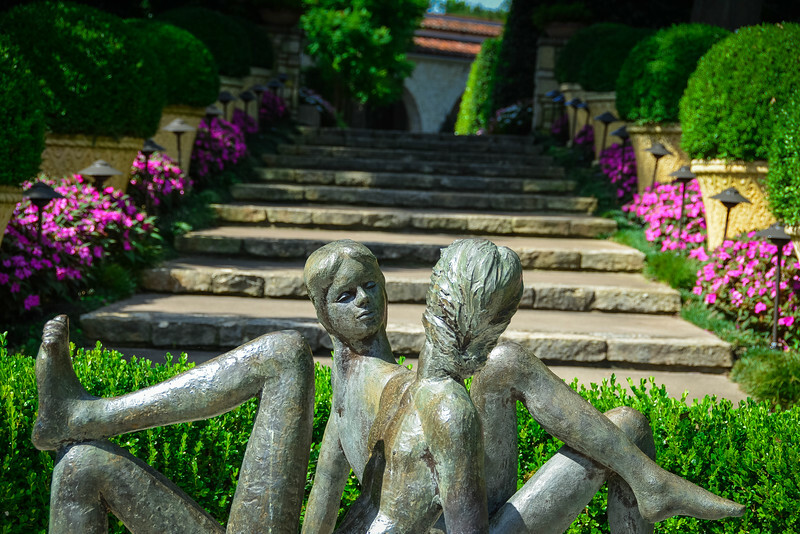 Home of the Chico y Chica de la Playa sculpture and a gorgeous fountain that provides the perfect backdrop to just sit and relax, the McCasland Sunken Garden is another attraction worth visiting. 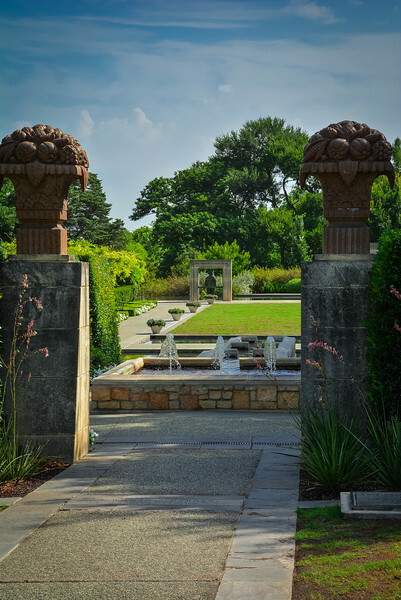 The Mexican/American inspired sculpture is a popular setting for weddings but there is much more to this secluded garden than first meets the eye. We took our time strolling around the McCasland Garden because this offered a brief respite from the searing temperatures due to the number of shaded spots around this garden. This is also a really great spot to capture some cool pictures, with the fountain and staircase directly behind leading down to the central aisle. The water feature may be the focal point of this garden, but you will not be disappointed at the beauty of everything else on offer here. Do you a passion for waterfalls? I do!! Approaching the Nancy Rutchik Red Maple Rill, I was delighted to see a man-made (of course natural are always better but some of the man-made designs are really cool!) waterfall that provided a perfect opportunity to use our new neutral density filter that creates a really neat effect. 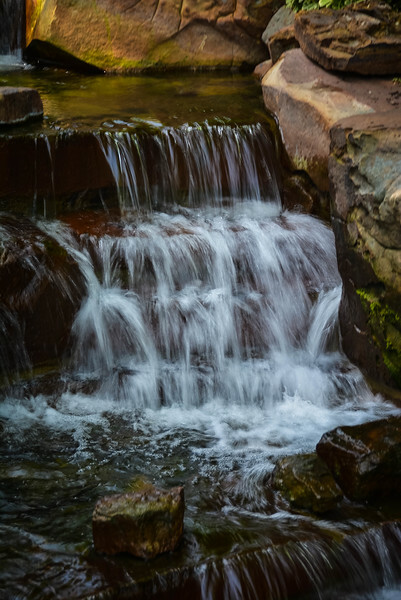 A stone bridge is located about halfway downstream and provides a perfect intersect where you can enjoy the waterfall flowing from the top or perhaps follow the meandering stream down the brook. 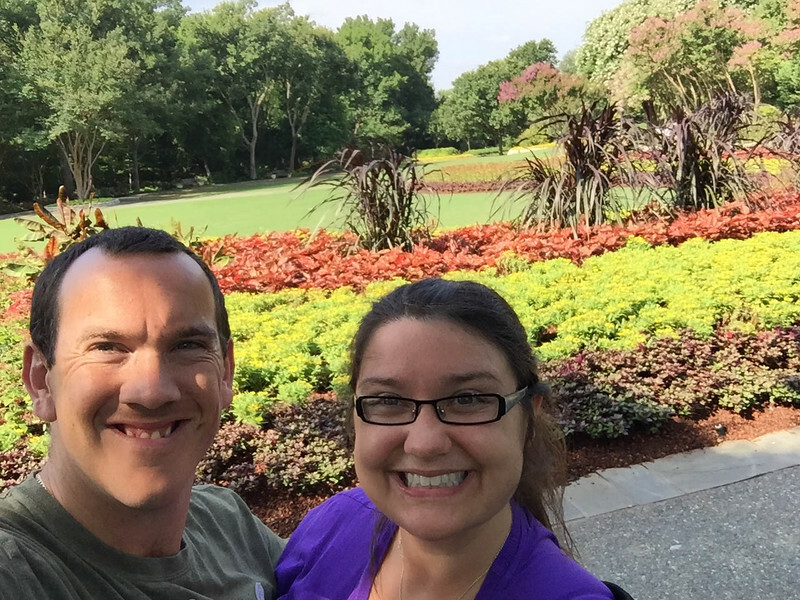 Heather and I both have wonderful memories from our morning visit to the Dallas Arboretum and Botanical Gardens. 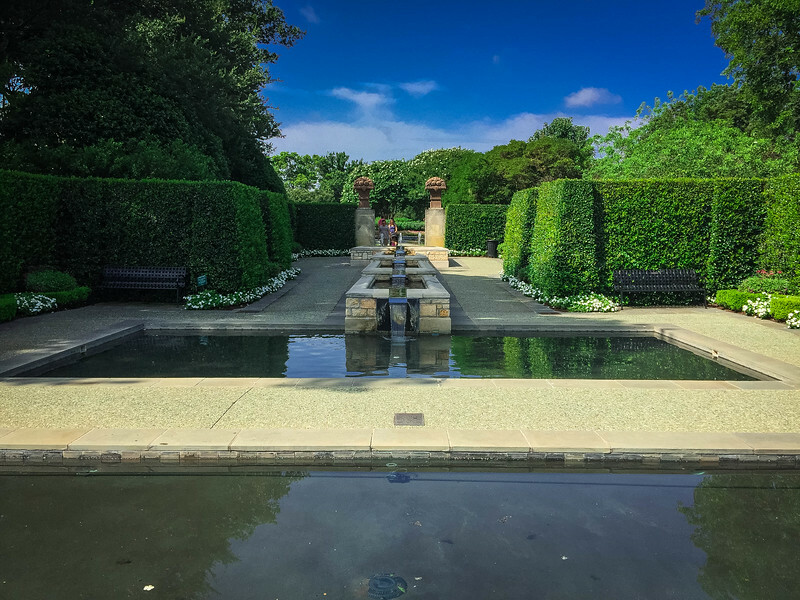 Regardless of the length of time you plan on spending here, you can see from the recommendations that there are plenty of attractive gardens built into the 66 acres of stunning natural landscape. 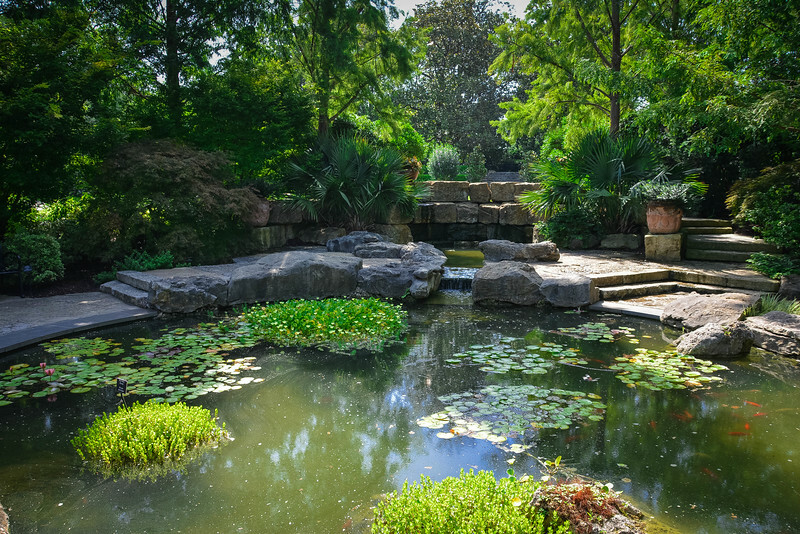 There are so many reasons to support my claim that Dallas potentially has one of the best botanical gardens in USA. I think the elaborate and careful attention to detail that each of the individual gardens are designed make this a hugely impressive attraction for visitors. 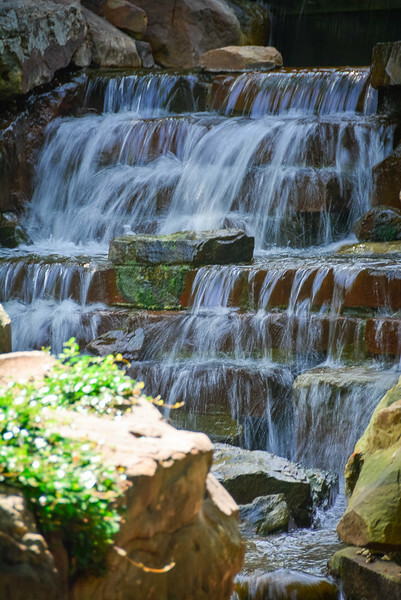 Of course there is so much more…I didn’t even mention the Water Walls which are really cool or The Rory Meyers Children’s Adventure Garden which was designed as a perfect way to connect nature with children. 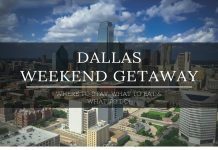 How to Experience a Perfect Weekend Getaway in Dallas? It is definitely a fantastic botanic garden. My favourite time to visit is, oddly enough, in the autumn! They do concerts in spring and summer too. Quinceañeras and brides have their photos taken here too. Hey you two, great coverage of the Arboretum. I agree with you it is one of the best places in Dallas. It’s also pricey! I do find a bit of fault with that to be honest. It makes it less accessible to so many people in the immediate area. Next time you’re in Dallas you’d better call me! From the looks of it, it is a beautiful botanical garden especially A woman’s garden! My favorite park to date has to be Kew Gardens outside London!